Enjoy this homemade Amrut on the earth in this hot season!! Very easy & simple to prepare!! Requires very few ingredients. Moreover it is very healthy & no preservatives added!! 1.Wash the kokum fruits thoroughly & dry them completely. 2. Keep them in dry cotton cloth so it will dry nicely. 3. Make the 2 halves of the fruit with the help of knife. 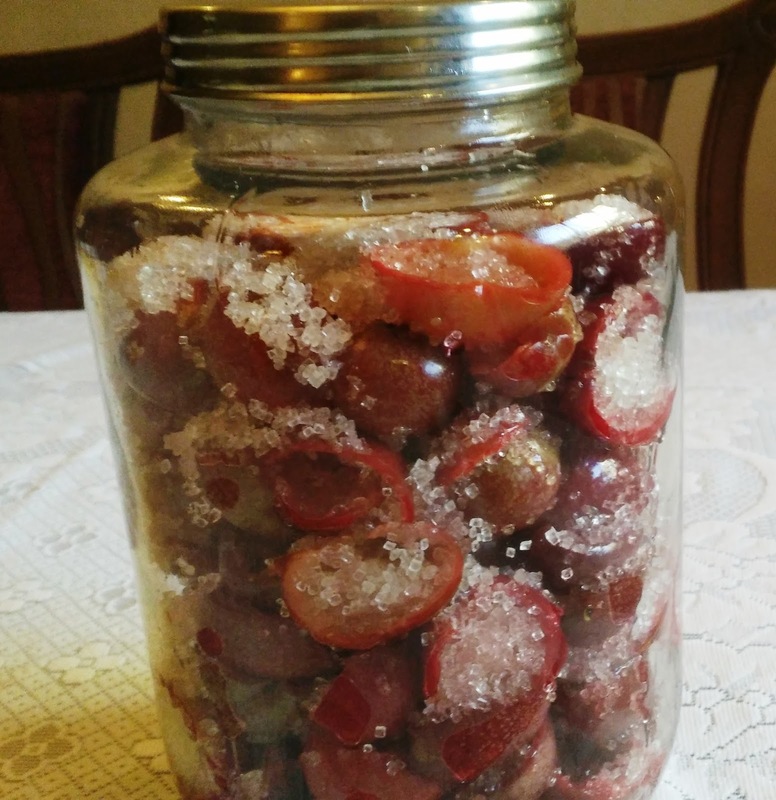 5.Feel the cavities with sugar & arrange them in completely dried big Glass jar with lid as shown in picture. 6. Add remaining sugar on the surface. Add salt. 7. Keep the bottle as it is. Do not keep in sun light. 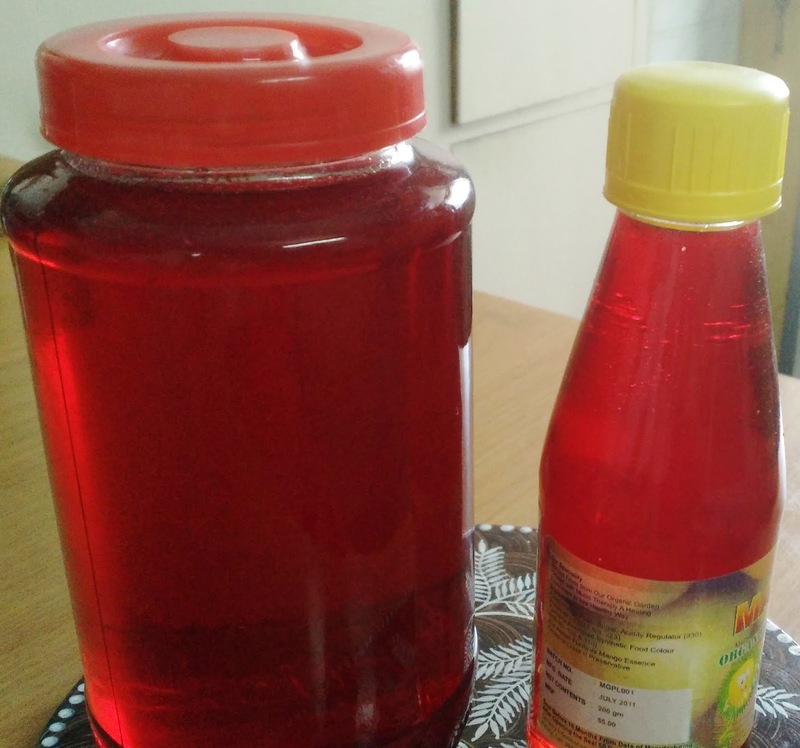 After 3-4 days you will get nice syrup.Sieve it & Store in small bottle & use as required. No need of keeping in fridge. In the remaining skins of the kokums add water & prepare sarbat. But you have to consume it or keep in fridge for 8-10 days. Take 2-3 tsp of the syrup for a glass. Add pinch of black salt ( saindhav mith ), little jeera powder & cold water. Stir properly. Enjoy this heavenly drink in this pricky season. You can have it in any season as kokums are very healthy. Adjust quantity of syrup as per your taste. * Keep the seeds in water for some time & with the help of hand remove the pulp. Add sugar & salt as per taste & you will get instant light pink coloured sarbat out of these. Then throw the seeds.